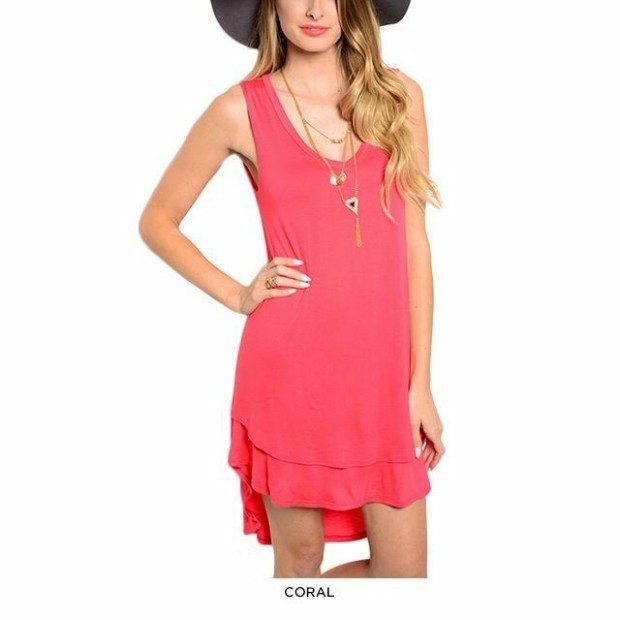 Sleeveless Knit Dress With Double-Layered Hi-Lo Hem Only $21 Shipped! You are here: Home / Great Deals / Sleeveless Knit Dress With Double-Layered Hi-Lo Hem Only $21 Shipped! Easier than slipping on a pair of shorts and a tee, this sleeveless knit dress is the perfect summer attire! Get the Sleeveless Knit Dress With Double-Layered Hi-Lo Hem for Only $19 plus $2 Shipping! Sizes: Sm, Med, & Large. Available in your choice of Turquoise, Gray, Coral, Black, Ivory, or Royal!